Which bands have you played in over the years? I've played with quite a few bands…and solo artists too; Company Of Wolves, New York Dolls, The Crazy Truth, Crown Jewels, Bushrock, Mr Henry, Blood, Sweat & Tears, The Contes…and artists like Billy Squier, Michael Monroe, Peter Wolf, Willy DeVille, Phoebe Snow, Chuck Berry, Willie Nile, Bernard Fowler, Chrissy Amphlett, Jill Jones, Glen Burtnick, John Waite, Maceo Parker…. Which bands are you active in, today? At the moment I’m busy with my own band - Steve Conte, as well as with Michael Monroe - and I work occasionally with Beatles protege, Billy J Kramer. What's your name? / What do you play the instrument? / How old are you? Where are you from? 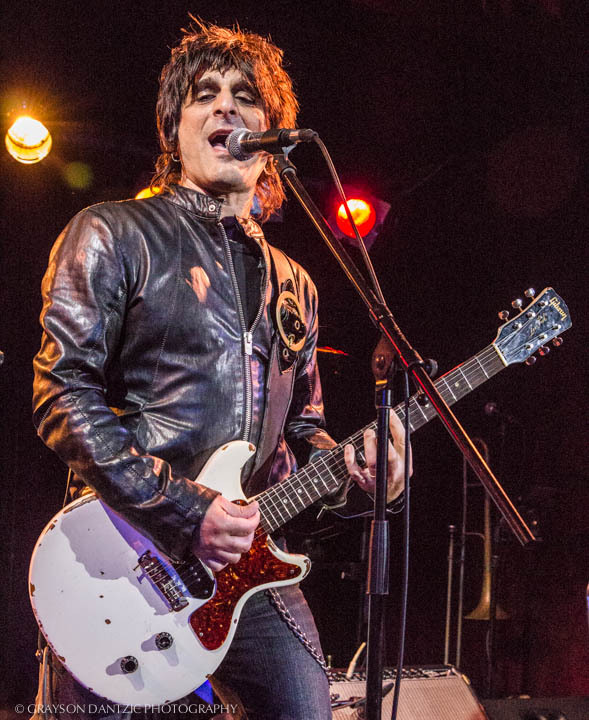 Steve Conte - I sing, play mainly guitar (but also mandolin, bass, drums & keyboards) and I come from New York. What are you playing for music style? I love many styles of music although I play mostly rock these days. I also play blues, rockabilly, r&b/soul, jazz, folk & country. When did you start with your own music? I made my first album of original songs when I was 11 years old. When did you join the Michael Monroe? 2010. When you released your new album? Just this month, July 2016. It’s called International Cover-Up…an album of some of my favorite cover songs that I played on tour with my band. Are you planning to make a music video for one of the songs on the album? I’d love to….I just need to raise some money to do it…or perhaps a fan who is good with that kind of thing can work with me on one! Where can I get the CD? Will there be a tour for new album release? I’ll be doing shows wherever I can get to…I have one in the Netherlands in August and shows in NYC & Helsinki in September. Which record label, the disc is designed to? My own label - Thunderdog Recordings. Do you have anything to add? I just love to play, record and create music so please find me online at Facebook (www.facebook.com/SteveConteNYC), Instagram, Twitter, Youtube and sign up for my email list to find out about my upcoming shows, tours and record releases. All of my band’s albums are on CDbaby and iTunes - Steve Conte NYC, Crown Jewels, The Contes, Company Of wolves, Steve Conte & The Crazy Truth and my new solo album: Steve Conte: International Cover-Up. Thanks so much! !